It's been quite a long time since I read a collection of poems that touch me. 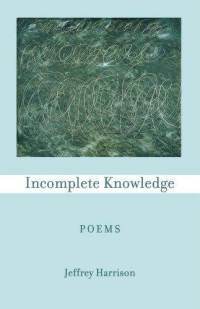 Very often, there are books that publish quality poetry which demonstrates the poet's sense of craft and control of the work. We are amused by the juxtaposition of images and experimental language play. But what about the emotional connectedness? How close are we to the pieces in the book? Every now and then, I thank myself for buying a book (almost randomly) that moves me and I will stop after reading a few poems, not that they are not good, but that I do not wish to finish it too soon. This, in some ways, is almost like dating someone you really like. You are almost consciously reminding yourself of not to know him or her too thoroughly too early, as if knowing the whole would kill the purpose of falling in love. that it has to be one or the other. (a.k.a. hackmatack, but what's a larch?). and a plane tree? It's beyond me. in this church-like corner of the museum. Forgive me for not visiting in so long. in your warm and comprehending gaze. of your stone robe, in the ripples of your beard. is the firmament of your compassion. gently on top of my head. Pray for me. in heaven. But we are here, heartbroken. "happier than she's ever been," we say. She used to get upset and cry so easily. "Tell me who that nice-looking young man is,"
her mistake, or gets embarrassed. So it surprises us when she says, "Someone's missing." in the present, as all the sages suggest? There are so many touching and memorable pieces in this collection. Two of my favorites are "Fork" and "Coincidences" ("Fork" is available on the website of Harrison. See below). Know more about the poet here. A new piece of Harrison in Poetry Northwest can be found here.